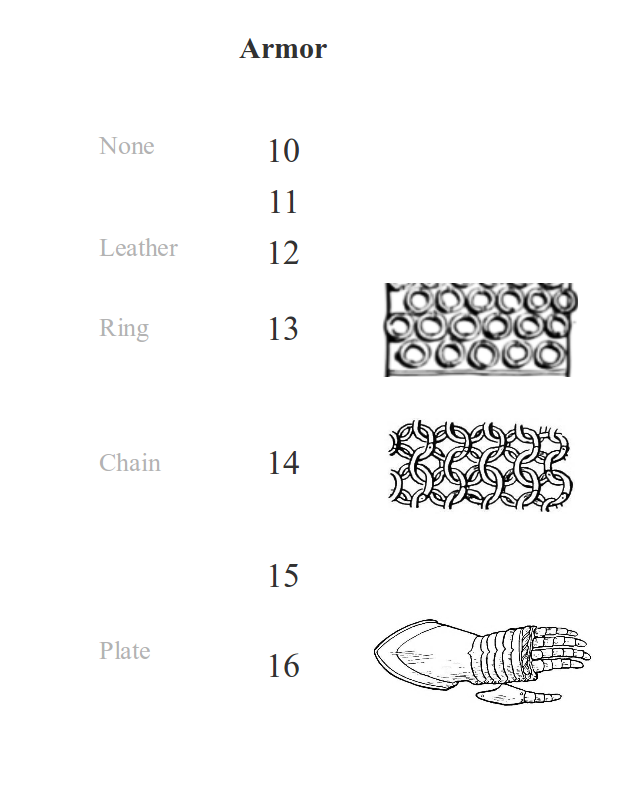 #3 in the old illustration looks like "studded leather" of a sort. Scale over chain is also darned good (but terribly heavy) armor as the gent #2 is wearing. The sheathed ring mail in figure #9 and the cheap bar mail in figure #10 are interesting as both are labeled "banded mail". As is the bar mail in figure #11. Well, since combat itself is merely an abstraction, I don't see why its various implements can't be, either. I've discovered that shooting for reality only shows me that the target is infinitely out of range. Detail, then, is great until it gets in the way of rules simplicity. But I could change my mind any minute. You know how it is. Thanks, and yeah, BLH, I think that is the crux of all this: finding the best balance we can between detail and abstraction. And I think each of us has slightly different tolerances for how abstract we feel comfortable with. Well a D&D world has a lot of different cultures... you could keep your simple '3 armours divided by 2s' system and just have them represented by different armours in different cultures. eg You medium armour in Saxonville could be chain, whereas a dude buying medium armour in Deutschestadt would get ring mail, and Normans get banded. Or something. For the light armours you have padded, leather, fur etc. You could use some kind of bug-plate armour like in Morrowind as well, lots of other options. Keeps both the mechanical simplicity and the flavour of realism and choice. 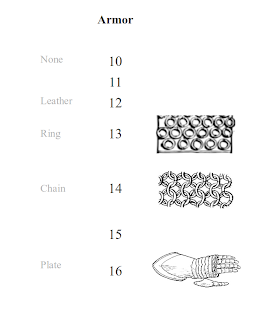 The thing about 'leather armour' is that leather is a just a material and thus is implicitly vague. It's like saying "He's wearing iron armour" and expecting people to know that you meant mail and not plate or lorica somethingrather. Obviously due to the low defensive value and minimal encumberance suggested by D&D they're talking something light, rather than a set of full plate armour made of hardened leather. Is on the right track for me - mostly regarding the Kikko down the bottom, or brigandine with leather plates. Basically any kind of light armour constructed with leather could be construed as 'leather armour', Brigandine, Scale armour, Leather Cuirass/Greaves/Vambraces, Lamellar etc etc. 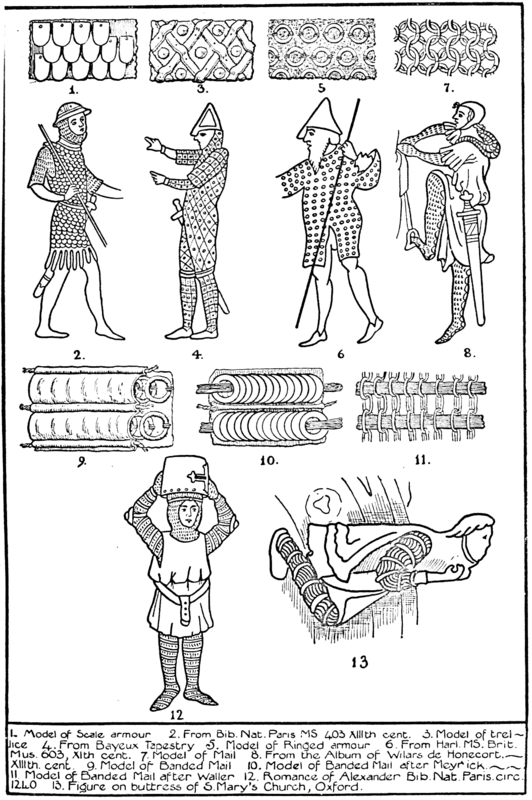 Also re: 'leather armour', check out the video section of ARMA (www.thehaca.com) website for examples of how effective even regular soft leather is as armour (stops decent chops, slashes and cuts). Or to put it more gently: Gygax didn't know an awful lot about historical armor, and was largely informed by fantasy and romanticist authors. DnD armor doesn't directly equate to historical armor types. I'm a stickler for these things, So I'm slowly redoing the whole armor and weapons tables.